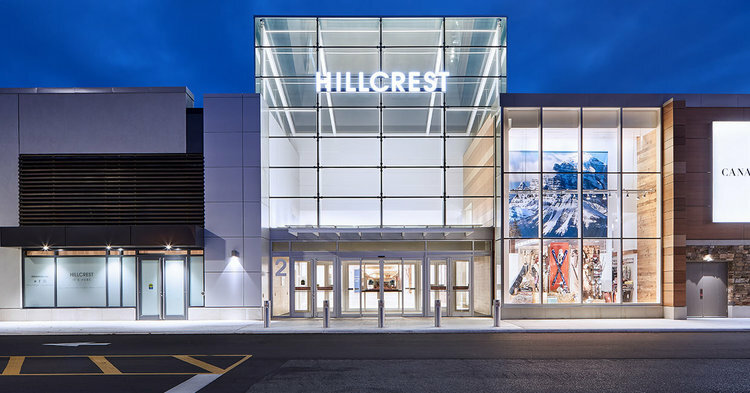 Hillcrest Mall Announces New Tenants: Oxford Properties’ Hillcrest Mall property in Richmond Hill, just north of Toronto, is adding several new tenants throughout, including tenanting its former Target space in the mall’s ‘North Wing’. Not to be outdone, the mall’s ‘South Wing’ just added West Coast Kids to the mix, joining tenants such as Sporting Life, H&M, Pandora and Starbucks. This summer, Honey and Swarovski will also open in the centre. The mall’s former Target will become home to Marshalls/HomeSense/Indigo and Old Navy, all of which are set to open this fall. The new North Wing involves reconfiguring the former Target space to include a central corridor with tall ceilings and updated lighting. More than $90-million has been invested in Hillcrest over the past several years, including an interior refresh incorporating new flooring, lighting, ceiling treatments and an upgraded food court. Washroom renovations were completed in November of 2017. Over the past three years, Hillcrest has added more than 20 retailers which makes sense — the area is affluent and growing rapidly. "West Coast Kids" opening marks the first of several exciting announcements for Hillcrest in 2018, including Honey, Swarovski, HomeSense/Marshalls, Indigo and Old Navy. Hillcrest's transformation is solidifying its place as a top destination for all things relating to a family-oriented lifestyle integrating adventure, technology, and other everyday indulgences," says Hillcrest general manager Ryan Da Silva. Hillcrest was also the first Oxford mall to add beehives to its rooftop. "Spring saw Hillcrest welcome back its rooftop hives. Hillcrest's bees are now flying around pollinating flower, fruit and vegetable gardens within a 5-kilometer radius. The Richmond Hill community is truly at the core of everything we do at Hillcrest. You'll see this theme continue into the fall,” said Da Silva. Former Reitman’s President and COO joining Bentley Leathers as CEO: Last week, Walter Lamothe joined Bentley Leathers as President and Chief Executive Officer. The former President and COO of Reitmans Canada, Lamothe brings tremendous retail experience to the position. Lamothe has also held the position of President and Chief Executive Officer of Liz Claiborne Canada as well as various strategic positions at other known retailers such as Stokes and Shirmax Fashions. Bentley is known for its affordable back-to-school options for families, team-based workplace, and campaigns with celebrities such as Celine Dion and Jessica Simpson. Café St-Henri unveils impressive HQ in Montreal: Montreal-based Café St-Henri has opened a new headquarters, just south of Jarry Park. The unique retail space includes a coffee shop that is open to the public, as well as roastery, kitchen, offices, meeting room, and a ‘coffee lab’ that can be utilized for educational purposes. The headquarters will allow Café St-Henri to further expand its wholesale operations, not to mention getting its products into more restaurants as well as other coffee shops. Experiential retail is more common now than ever, and Café St-Henri’s coffee classes will take place three times per month in the new lab space — there’s even espresso classes and a tasting class, which sounds like a delicious way to get one’s caffeine. The coffee-fueled meeting room is also available for rent (with easy access to coffee). The café space itself is very impressive, featuring high ceilings and an industrial look reflecting its location. Interiors were softened with paintings, lighting and added foliage -, concrete and exposed ceilings contrasted with random furniture and, a purple light which shines down from the café’s greenhouses. The 800-square-foot boutique, which is triangular in shape, will boast a 30-foot wide glass facade. At the centre of the store is a bracelet bar, as is the case with its other Canadian locations. 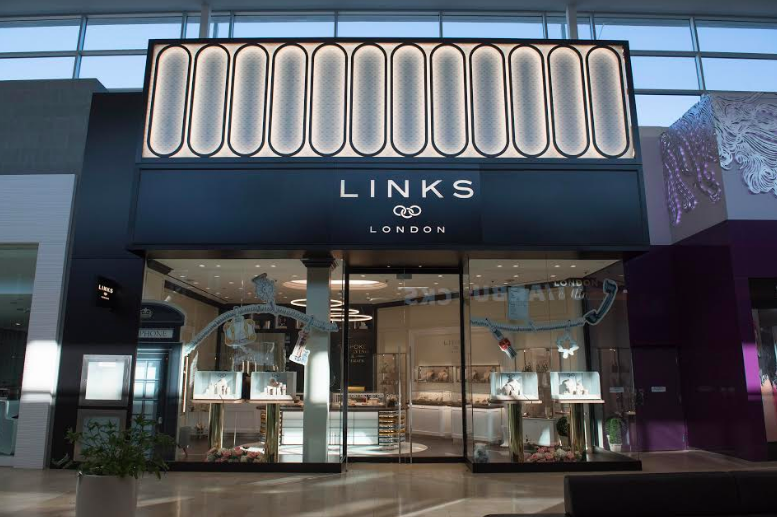 It is all part of a national expansion that will see Links of London open standalone stores across Canada. Pictures are being taken of the new Square One store and next week, Retail Insider will showcase the new store with a series of photos. The Revival of Beloved Brand Jacob: Montreal’s French-language newspaper LaPress.ca is reporting that Costco is selling a mini-collection by the defunct Canadian teen brand Jacob alongside wardrobe mainstays Calvin Klein, Buffalo, and Adidas. Jacob began in 1977, and Canadian tweens, teens and young women delighted in the affordable fashion and accessories offered. By 2008, popularity waivered with the influx of international brands such as Zara, H&M, Forever 21, and the years 2010-2018 were defined by a series of business maneuvers by Basmaji’s to save his company. As Facebook was the platform used to make the sale of $19.99 sweaters and cardigans at Costco known, fans of the brand may wish to click ‘Follow’ and see what new surprises Jacob has in store for their ‘CHIC by Jacob’ mini-collections. Indochino CEO Drew Green a Finalist for Major Award: CEO Drew Green has been named as a finalist in the EY Entrepreneur of the Year Awards program for the Pacific region. The awards celebrate those who drive growth, live outside the box and disrupt with purpose. Green is among a highly respected list of finalists in Canada, all of whom were selected after a long and rigorous evaluation process conducted by an independent panel of judges. This recognition was awarded to a select group of Canadian entrepreneurs that have demonstrated integrity, perseverance and an enduring spirit of ingenuity, and are recognized innovators that lead with purpose to drive outstanding performance. Retail Insider will continue reporting on the impressive progression of this Canadian success story. Colton’s Couture Raises the Bling Bar with Re-Launch in Oakridge Centre: As announced in Retail-Insider this past April, curated luxury concept boutique Colton’s Couture is set to open its’ tony new digs in the newly renovated original location in Oakridge Center. In 2016, Colton’s Couture tested the waters with its shopping concept in a less-than-luxury 900-square-foot location with a pop-up shop. The initial $500,000 investment paid-off and soon the location was permanent. In 2017, owner Howard Colton moved Colton’s Couture and all its’ Gucci, Dior, Louboutin, Balenciaga, and McQueen, into an available vacant spot and began renovations on the original pop-up location to bring it up to a higher standard. Officially launching at the end of July, this location reflects Colton’s love of the Dior aesthetic which mirrors the company’s 15th-floor penthouse offices. Grey veined marble, white fixtures, and crisp white spot lighting, will set the tone for the second of four locations to be open by mid-2019. Next on the roster is Metropolis at Metrotown to be followed by an outlet location at YVR Airport’s McArthurGlen. Cauldron Ice Cream Creating Deliciousness on Queen Street West: California ice cream chain Cauldron Ice Cream is opening the first (of many reportedly) Canadian location in Toronto at 502 Queen Street West this month. Now fans of its liquid nitrogen ice cream can have their OG Puffle in hand as they window shop. The three-year old company seized upon the burgeoning Canadian ice-cream trend and specializes in liquid nitrogen ice cream. Cauldron offers a variety of unique flavours such as Earl Grey Lavender, Milk and Cereal, S’mores, H20 Rose, and dairy-free flavour Pineapple Express, and Pink Lemonade. With ice cream sculpted into flowers, egg bubble waffles, and an alluring tag-line of “It’s not gonna lick itself,” Torontonians are counting down the days until the queuing begins to get their licks on. Meinhardt Fine Foods Joins Earls and Heirloom in Bringing Gusto to Ambleside: Known for its fine quality packaged goods, fresh baking, hand-made pasta, and use of locally produced items, Mainhardt Fine Foods has opened a 4,000-square-foot ‘Bodega-style’ grocery store in North Vancouver’s 1350 Marine Drive hot spot. Joining Earls Ambleside and Heirloom Vegetarian Restaurant, Meinhardt’s offers a shopping experience augmented with 28 indoor seats, a 20 seat patio (which will be expanding soon), blooming fresh flower market, and in-house pastry experience for dessert lovers. Included in this sugary realm are a range of the ever-popular macarons, mini-mousse cakes and custard tarts, all to be enjoyed with fresh JJ Bean coffee and seven different flavours of delicious Earnest Ice Cream. While different in look and feel, customers will still be able to build-their-own salad, grab a hot meal, and enjoy free WiFi, and the beachy summer-feel of Ambleside—a mere stone’s throw away. Launched in 1996, Meinhardt Fine Foods is still going strong at its original South Granville location, as well as at its second location on the high-traffic Dunsmuir and Granville corner at CF Pacific Centre. Another is on the way for a downtown site at Burrard Landing. Visit hungry and leave sated this summer, Monday to Saturday 7 am to 9pm, and Sunday from 8 am to 8pm. Leon’s Furniture Whumping Trump with #wewontbetrumped Hashtag Campaign: Leon’s Furniture began in a small town named Welland, Ontario, population 52K and change. The Canadian owned and operated Leon’s Furniture has grown over the decades and is now taking a kick at the rump of the US tariffs by joining the hashtag campaign - #wewontbetrumped. Selling Canadian-made furniture brands like Defehr, Campio, Décor Rest, Dynasty, Palliser, Superstyle, and mattress giant Sealy, Leon’s is reminding us all to support companies that employ Canadians, as well as sourcing materials (lumber, steel, foam and other raw materials), from Canadian companies. Ontario’s Luxury and Sports Cars Backs into Bankruptcy: As first reported in Insolvency Insider, Luxury and Sports Cars, a Woodbridge, Ontario-based used luxury car dealer, was placed in interim receivership on July 4 in an application by RBC Royal Bank, owed approximately $450.3-million. One month earlier on June 4, RBC engaged msi Spergel (ICIN) as a consultant to review the company's financial and operational performance and to evaluate RBC's security position. When msi Spergel (ICIN) attended at the company's premises to carry out its mandate, it discovered that substantially all of the used cars that form the company's inventory had been removed from the premises, effectively defeating the enforcement of RBC's rights under its security. msi Spergel (ICIN) was then appointed interim receiver. Counsel is Aird & Berlis for RBC, Harrison Pensa for the interim receiver and Soble, Rickards & Associates for the company.